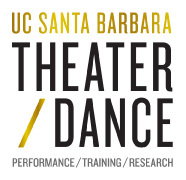 The UCSB Dance Company will premiere the first repertory concert of the season on Thursday March 7 and Friday March 8 in the HSSB Ballet Studio Theater at UCSB. Shows are at 8:00 pm. New York choreographers Doug Elkins and Ephrait are setting new works on the company, expanding the boundaries of the dancers and audiences with their vision. Faculty member Nancy Colahan, former member of the Lar Lubovitch Dance Company and the White Oak Dance Project, has restaged her compelling work Deep Currents. Brandon Whited, former member of the Shen Wei Dance Company, has set a duet, Simple Man, for two men, and Meredith Cabaniss, graduate of UCSB, has been commissioned to create a new work for the company. Alice Condodina, Professor Emerita, who was honored to receive the 2018 Dickson Emeriti Award, has restaged the historic work by Jose Limon, The Unsung.